As many of you already know, Rhian Collins, a nurse who worked at Cefn Coed Psychiatric Hospital in Swansea, Wales, hung herself in her home. Rhian left behind a fiance and two children. This nurse allegedly committed suicide because of a bullying situation at work. Some say she had other issues and while that may be true, investigators determined that it was the way her work colleagues treated her that caused her unbearable stress. No one knows for sure but this stress led to her taking her own life. Is this nurse’s suicide an isolated case or a growing problem in healthcare? Why Is This Happening to Healthcare Professionals? Increasing demands, decreasing resources, depression, burnout, and being the target of bullying behavior creates a perfect storm of unbearable stress for healthcare providers. We know this and many organizations; medical and nursing associations are trying to do something about today’s high stress environments. However, there’s something we’re missing. In my opinion, if someone’s experiencing high stress because they’re being bullied at work, there’s generally one common denominator that people don’t acknowledge. SOMEONE knows his or her colleague is being bullied but fails to speak up. It’s like watching someone drown when YOU know they’re in shallow water and only have to stand up to survive. We are standing by, watching our colleagues drown. The AACN and Vital Smarts conducted a study that asked 1700 healthcare employees this question (I’m paraphrasing): If you witnessed bad practice or bad behavior, would you speak up? How many healthcare employees would actually speak up to a physician who is about to insert a central line but isn’t using the 5 barriers? Or, speak up to someone who is bullying a new nurse? The answer? Only 10% of us would speak up. That means 90% of us would stay silent! I recently talked with a group of ICU nurses who said they felt bad for one of their new nurses. They shared numerous examples of how badly she was treated by their charge nurse. They actually referred to her as “the sacrificial lamb”. The charge nurse yelled at her at the nurses’ station and said, “How did you pass NCLEX? You’ll never survive here.” The new nurse walked away in tears. Rhian experienced continuous verbal abuse, was given the worst assignments, and felt she didn’t have any support to deal with difficult situations while at work. I can’t help but think that at least some of her colleagues knew this was happening. But did anyone speak up on her behalf? Have you ever been the witness of workplace bullying? Did you speak up or keep your nose down? You know the old saying “If you’re not part of the solution you’re part of the problem?” Well, it’s applicable in most situations, and especially bullying. If you witness someone being bullied and you turn a blind eye you’re contributing to an unprofessional work environment. If I speak up, will he target me next? The bully is my friend. Will she still like me if I report her? Will my complaint even be taken seriously? The bully is my boss. Will I get fired? There are a lot of reasons people don’t speak up about workplace bullying. However, we can all choose a different path now that we know the power we each have to speak up to take action. As soon as you witness disruptive behaviors, start a documentation trail. Don’t wait until you’ve seen the bad behavior multiple times before taking action. If you witness bullying in digital form, save the emails or take a screenshot of the abuse as you see it. Once you’ve collected enough evidence, report it to your manager or your Human Resources representative. Although I always advocate that you file a non-anonymous report, if you’re really concerned about retaliation, most organizations provide an anonymous way for employees to share their concerns. The key here is to report the behavior! The key here is to do SOMETHING to put space between the bully and their target. Did you know that 40% of all targets never tell anyone? Yet, almost everyone knows who they are. Emotional support can go a long way in helping someone who is being bullied. Let them know you see the problem and recognize it as bullying. Offer an open ear if they need to talk about it and do your best to support them in any way necessary during a public attack. If you feel like the situation warrants it, take it a step further and encourage them to get outside help. This is where I believe we failed Rhian. Why didn’t anyone support her? If someone had, would she still be with us. Would her children still have their mother? Would she be planning a wedding right now? The opposite of a hero isn’t a villain – it’s a bystander. I’m hoping this is a wake up call for all of us to speak up when we witness disruptive behaviors at work. We are hemorrhaging really great nurses, like Rhian, to bullying and incivility. We need to stop the bleeding of really great nurses out of the profession. It’s time for all of us to SPEAK UP! Are you with me? If so, post a commitment in the comments below. Very excellent article and one I think took courage to get out there. I've been a target and ended up having a nervous breakdown, I no longer work and have actually been out of work with no meaning zero income for one year! My home is in foreclosure, I lost my drivers license because I got stopped with an uninspected car on three different occasions, I no longer have a car, no checking account or savings, no 401k left as I used that while in nursing school. My nursing license expired and so did my X-ray certification as I was a Technologist since 1985 before becoming a nurse in 2012. I have truly nothing left and don't quite know what my next move should be? I want to try and sell my house before it is foreclosed on, this is really scary and I've never been in a position like this ever. I've always worked and taken care of myself and raised my two children alone. So I am here to testify that this stuff is for real and it's pushed me to the brink where I do have suicidal ideations daily! 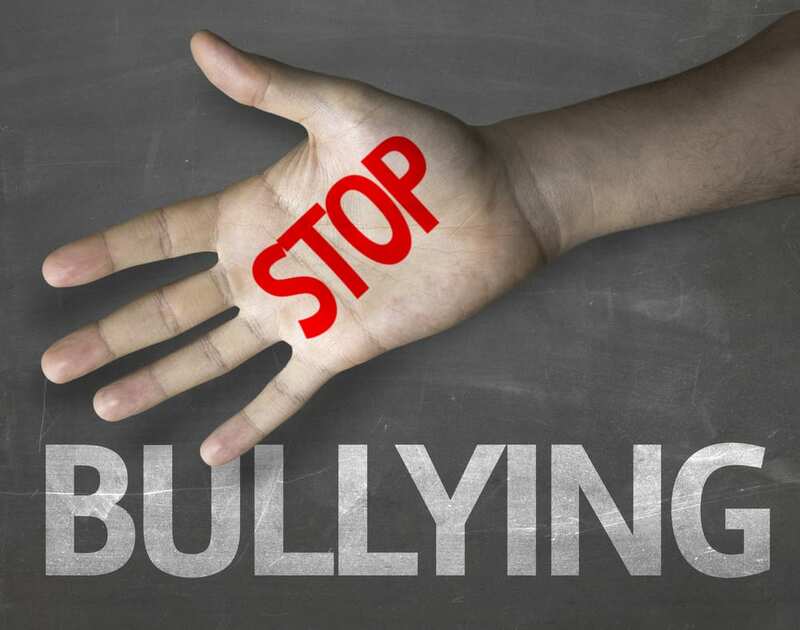 I can understand how others feel when the bullying and meanness do not stop. I was told by a supervisor and I quote her "The majority of the staff do not like working with you and that's how the nurses pretty much feel too." By staff she meant the direct care staff on the units watching the patients and doing group and when they were short staffed which was always a RN worked in that capacity. When she told me those words I thought in my head "See you were right all these years, nobody does like you." It took everything I had to not breakdown and cry. I've been through a lot in my life as far as verbal and emotional abuse goes and I don't put myself out there so I won't get hurt like I did at this place, but it happened and I don't know why they did not like me they were nice to me except one girl who was always miserable and never smiled. It's a good bit to process and I try not to think about it but I have to so I can get over and through this nightmare I am living in. PLEASE PLEASE ALL OF YOU DO NOT BE ROTTEN TO ANYONE, WHY WOULD YOU ANYWAY? If you don't like someone just don't be friends with them but for heavens sake don't be mean! That's just a waste of energy and in my opinion a wasted emotion or sense of being. I don't like to tie religion into the mix but I am on this one, I will pray for all of you who are hurting for whatever that is worth to you, to me it's a great gift. For those of you who choose to be rotten, mean and bully people to their faces or behind their backs, I will pray for you the most because you obvisouly just don't get how deep your actions go into another's heart and soul. Maybe one day you will and you will stop doing this terribly egregious act to your colleagues. It's not worth someone taking their life or having a nervous breakdown over, I know I will never be the same after multiple jobs and being bullied and or treated like I was an idiot and didn't know what I was doing. I received the same degree as you and that should not matter anyway. I treat every worker with the same kindness we are all there for the same purpose and that is to care for the patients in whatever capacity we do. Thank you Renee for this article and allowing me to share my experience with this topic you are a true gem doing what you do keep it going! Oh my. I'm so so so sorry you had to experience this level of cruelty. Nobody should ever experience this!! It's because of you and other good humans like you that I do what I do. Just know that there are good, compassionate nurses out there who truly want to support and nurture other nurses. Once the charge RN and the chief surgeon were carrying on about a troubled nurse employee way too loudly at the nurse station. It was seriously affecting the environment. I finally pretended to look up a protocol in the book that was smack in the middle of them. I ignored the glare of the charge RN; but it immediately stopped the conversation. I never told anyone, otherwise I wouldn't be able to claim ignorance. I never heard any repercussions either. Whew! that was a close one. There are multiple ways to intervene. So glad you did!! The worst thing we can all do is to do nothing. Thank you!!! Thank you Renee. With all the talk about suicide, I've been asking what about Nurses? What about Nurse Practitioners? How is this affecting our community? I won't be able to be there for our live stream on Wed, but I've shared and hopefully more will attend. We have to address this. Thanks Barbara. I've been reading more and more about suicide among healthcare providers - NP, however, have not been singled out. It would be interesting to do a deep dive looking at stress and suicide rates in the NP community. Thanks so much for sharing my Facebook Live invite! Thanks Karen! This is a wake up call for all of us!!! We need to stop using silence as a strategy! Thank you for well written article on bullying and suicide. We provide training during our nurse residency program and the article will be a good reference. You're welcome Kathy! So glad you are including this topic in your residency program. We can no longer afford to use silence as a strategy! You and I both know it doesn't work.